Finding somewhere to relax and listen to great music in Bangkok is not a difficult task. Bangkok’s bustling jazz scene attracts both local and international musicians to perform in its clubs and bars nightly. 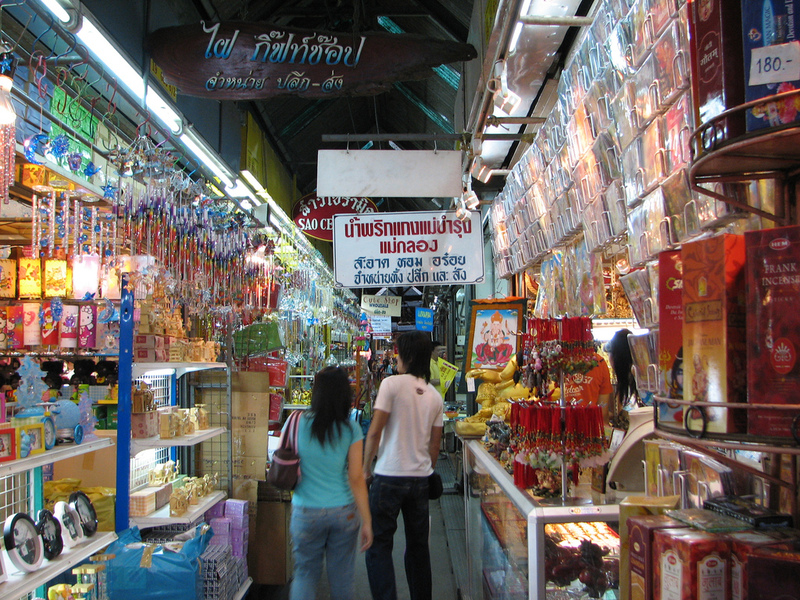 As the capital of Thailand, Bangkok is perhaps the most vibrant, colorful and energetic music venue in the country. We check out the best places to experience some world class jazz in Bangkok. Live music lovers have been fans of Brown Sugar for decades. It was ranked ‘one of the best bars of the world’ by Newsweek and continues to please its crowds with nightly live music alongside reasonably priced beer and wine. Alongside lilting music and a quirky drinks menu, enjoy the speciality Thai cuisine which is some of the best in the area. Drop by on a Wednesday night for a smorgasbord of funk, groove, and jazz from The Lowdowns. After Brown Sugar closes for the evening, walk to the backpacker capital of Bangkok, Khaosan Road, and continue your night in true hedonistic fashion. After grabbing some street side seafood or a portion of suckling pig in Chinatown, head to Cotton. This jazz bar, located inside the Shanghai Mansion hotel, is the city’s best kept secret and offers calming, lilting jazz in a low key style. For its classic swing style and typical New Orleans jazz, together with the overall vibe of visibly happy musicians, you can’t beat Cotton. If you’re in Chinatown, do as the locals do and head over to Cotton for a large glass of wine and a side of culture. If you’re looking for a unique fusion experience, head to Jazz Mahal. This premier jazz club offers a sophisticated night of music and Indian cuisine. Decorated with white couches and twinkling chandeliers, you won’t feel like you’re in the centre of bustling Bangkok. Situated near the famous Chatuchak Weekend Market on the northern side of the city, the club offers one of the best and only places to enjoy Indian cuisine outside of the downtown Sukhumvit area. The Trio Jazz band is a perfect accompaniment to some market retail therapy followed by a dinner of samosas and chicken tandoori. The stylish décor requires a matching dress code, so come equipped for elegance. Saxophone is a legendary jazz institution in Bangkok and a favourite amongst both locals and expats. The music and the cosy yet lively vibe are always exceptional, with a different band playing every night. Popular acts include the Thai saxophone legend Koh Mr. Saxman and Bemerkenswert Vier Jazz Band, alternating between classic jazz and moody blues. Weekends welcome in significant crowds but even midweek the atmosphere is convivial, warm and vibrant. The food is fantastic and the drinks list comprehensive, but for the more budget conscious traveller, Saxophone can seem somewhat premium. Whatever your budget, Saxophone offers a great opportunity to enjoy beautiful jazz, so sit back and order the house special, The Saxophone Dropper. Sky Train Jazz Club isn’t your average jazz club and when you first come across the building, it is not unusual to do a double take. This fifth floor open air jazz club is perfect for a night of chilled out vibes and cheap drinks. The mood reflects the audience, as it’s mostly packed with hipster locals and English teachers. Decorated with vintage furniture, quirky décor and assorted knickknacks, grab a seat near the edge of the club to gaze out and observe the city below.